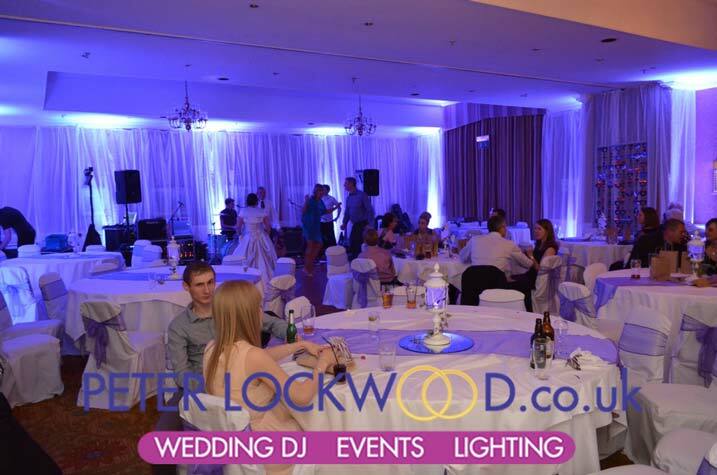 wedding uplighting Hollins Hall Bradford Yorkshire | Hollins Hall Wedding UpLighting. 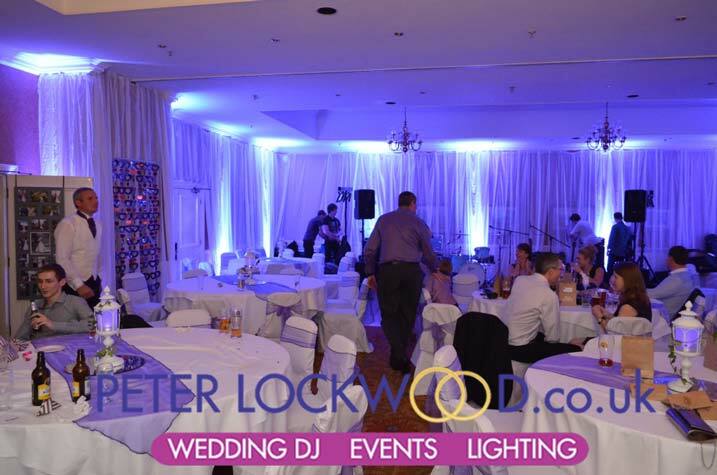 Hollins Hall Wedding UpLighting. I don’t get over the border in to Yorkshire a lot, that’s a shame as there is lots of nice hotels, Hollins Hall in Bradford is one of them. The room had drapes stapled to the top of the walls covering the pictures and brown wallpaper. This made it a big difference to the room also being white they let my purple uplighters shine brighter. When I arrived to pull out the lights the band was playing some background music as they was pulling there equipment down. 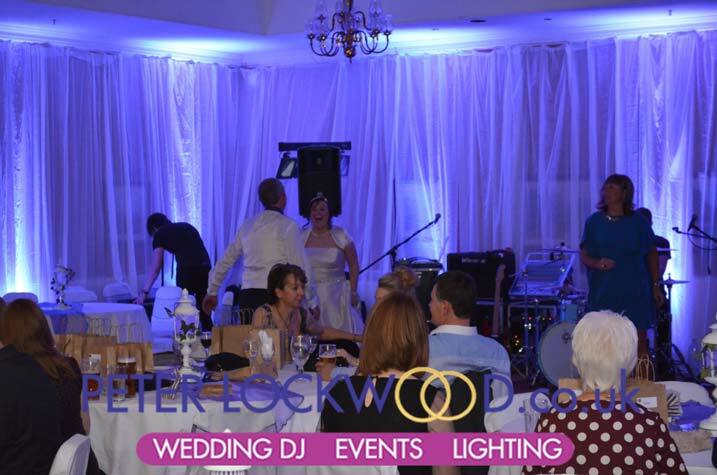 Purple is a fantastic uplighting colour and works well at so many weddings every year. 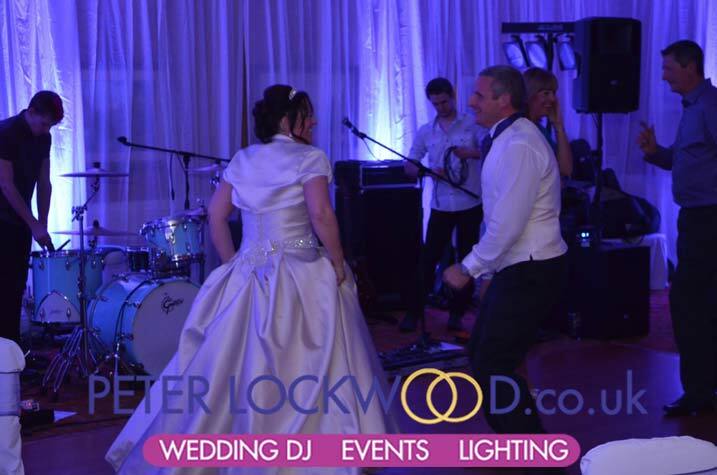 I am hoping that I will be back in Yorkshire soon with my uplighting services providing colour to peoples weddings. Just wanted to say a big thanks for your help last weekend at our Hollins Hall wedding evening. We were bowled over with the look of the room after the up lights were turned on, it made the room feel very special indeed. If you want to find out more about Hollins Hall the website link is >here< to find out more about my lighting services in Hollins Hall, Yorkshire please pick up the phone or give me an email.